(Bottom row, from left) Hungerbox's Uttam Kumar and co-founder Sandipan Mitra along with a few team members. A second-time food-tech entrepreneur, Sandipan Mitra has come a long way from being a waiter at a food outlet in Bengaluru. In the course of his journey, the foodie has witnessed multiple acquisitions and fundraisings, which culminated in HungerBox, a venture he co-founded in 2016 along with Uttam Kumar. “The idea behind HungerBox was that millennials in the technology industry get everything online today, barring their office canteen meals, for which they have to stand in the queue. I found that quite ironic," Mitra said. HungerBox offers corporates a digital platform to order food. The startup helps employees book their lunch from their desks and canteens, and connects them with caterers who process the orders and fulfil payment, all through an app. Since its inception, the startup has attracted the attention of some well-known names from the venture capital ecosystem in India and abroad. It found a believer in K Ganesh, who agreed to co-promote it under GrowthStory, the venture-builder platform, which has worked with companies like grocery e-tailer BigBasket, online food delivery platform Freshmenu, jewellery e-tailer Bluestone and home healthcare services provider Portea Medical. Most recently, in January this year, it raised funding in a round led by Singapore-based Lionrock Capital and Axilor Ventures founder and Infosys co-founder Kris Gopalakrishnan. Mitra claims that his venture turned profitable in January and it is operating in a sweet spot where it can scale. “However, we are expanding our business too fast and it will be some time before we turn a net profit at the corporate level,” he explained. For Mitra, setting up HungerBox comes on the back of a decades’ worth of experience in the food industry. His tryst with food began during his student years. As an undergraduate pursuing a degree in computer applications, Mitra worked as a waiter at Wimpy's, a pub in central Bengaluru, every evening. After completing his MBA, he started probably one of India's first online food ordering platforms called Hungry Bangalore in 2007, which received investment from the Indian Angel Network. Later renamed as HungryZone, the company was acquired by the UK-based food-tech platform JustEat, which in turn got acquired by FoodPanda in 2015 (whose India operations was acquired by Ola late last year). During his stint at JustEat, Mitra was exposed to the food tech industry in Europe, and while at FoodPanda, he managed the firm’s business to business division, overseeing corporate sales. “All that experience helped me understand all the aspects of the business,” he reminisced. Run by Eat Good Technologies Pvt Ltd, the Bengaluru-based startup works with large companies and IT campuses. 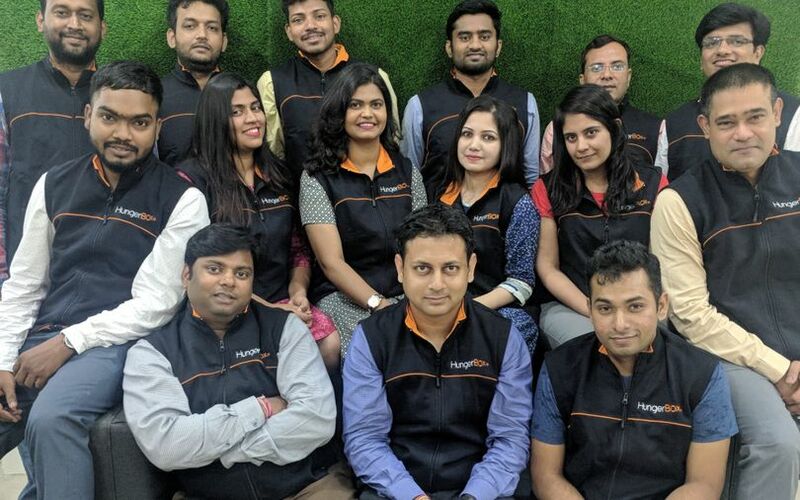 Since opening its first digital cafeteria in September 2016 at business process outsourcing firm FirstSource, it has since got on board customers such as Accenture, Amazon, Capgemini, Genpact, Microsoft, Qualcomm, Mercedes-Benz and Airbus among others. Today, the startup processes more than 1.8 lakh orders a day and runs over 150 cafeterias across nine cities and has an annual revenue run rate of Rs 180 crore, said Mitra. The company monitors food quality and safety and manages other regulatory requirements for the cafeterias. "The administration of the companies need not bother at all,” explained Mitra. The startup employs more than 400 people to manage and run the show. The startup generates its revenue from commissions collected from the caterers of the food courts. This comprises around 10% of the total sales of the caterers. The company has partnered with a large number of vendors—550 caterers running 2,200 counters on its platform. “For caterers in these food courts, around 20% income is lost on account of pilferage as many cash transactions never get recorded. The efficiency and productivity increase is of immense value to them. They also get to know which food is in good demand and which is not," explained Mitra. The benefits for food vendors do not end there, added Mitra. "We also get them onboard at other food courts run by us, thereby getting them new business. We give them a chance mostly at a campus nearby where they are already operating which will help them reduce their operating costs," he said. Employees only need to go to the cafeteria once the food is ready, for which they will be notified via the app. There are more than 60 different digital payment methods to make it easier for them. At its biggest food court, HungerBox serves 14,000 employees every day processing 9,000 orders during lunch hour through 40 counters. Multinationals like Elior, Sodexo and Compass sometimes run the entire catering operation from creating the menu to ordering and food preparation for their corporate clients. However, HungerBox has no plans to venture into this part of the business currently, said Mitra. As part of a new business or revenue segment, the startup could procure inputs from these vendors and take a commission, he added. But Mitra and his team have yet to decide whether to pursue this path. Mitra’s immediate priority is to focus on HungerBox’s overseas expansion as he has received interest from the present roster of companies to run their cafeterias in the Asia Pacific region.